Tooth decay and cavities are common problems that affect the dental health of millions of Americans today. If left untreated, plaque and bacteria can accumulate and lead to the degradation of your teeth. In advanced forms of tooth decay, persistent pain, toothache, bad breath and significant tooth loss may occur. At Richards & Ribitch Dentistry, we provide a number of treatments that can restore and preserve the health of your teeth. In a pain-free procedure, your dentist will remove the decay and restore the tooth with modern tooth-colored dental materials. Dental crowns are prescribed for broken down teeth or teeth with large fillings. A crown secures the strength of the tooth and prevents the tooth from breaking. Our modern crowns today are free from all metals and look like beautiful, natural teeth. A form of tooth replacement, dental bridges are used when a patient has lost his or her teeth due to extensive tooth decay or gum disease. An artificial tooth is constructed and attached to adjacent dental crowns. These crowns are placed over the top of healthy teeth, in order to help secure the artificial teeth into the gaps of a patient’s mouth. 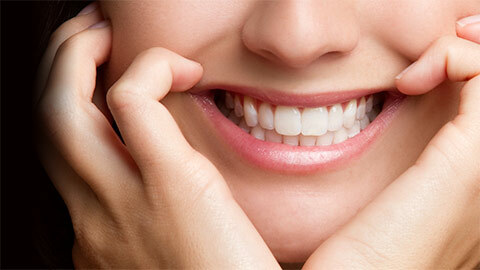 The dental restoration treatments we offer are ideal solutions for cavities and tooth decay. They help protect your teeth from further breakdown. Taking care of your crowns, dental bridges and fillings is as easy as taking care of the rest of your teeth. Regular flossing, brushing and dental care will ensure that your crowns, bridges and fillings will last for years to come. If you need more information about Dental Restorations in Mount Pleasant, contact us today.